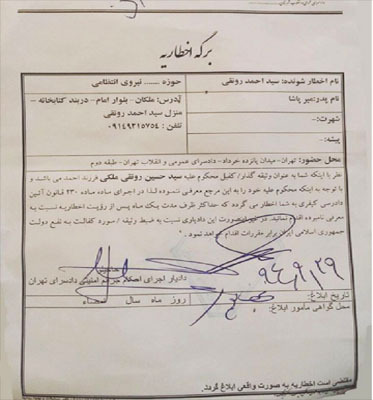 HRANA News Agency – The prosecutor’s office of Tehran has notified Hossein Ronaghi, who has been released from prison on the bail, that his bail would be seized unless he would turn himself into the prison within a month. According to the report of Human Rights Activists News Agency (HRANA), Hossein Ronaghi, political prisoner, is out on medical furlough, and his medical conditions aside, he is eligible for Parole. Mr. Ronaghi who was mostly in ward 350 of Evin prison, was released from prison to continue his medical treatments because of critical kidney conditions and facing the danger of losing his kidney, however he was summoned and sent back to Evin prison for unclear reasons. 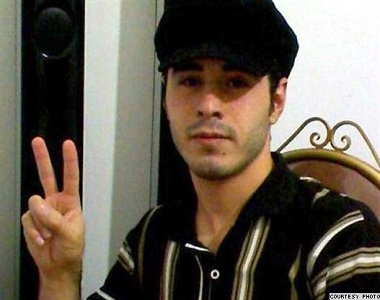 Hossein Ronaghi Maleki, human rights activist and blogger, was arrested on 13th December 2009, and after spending 10 months in ward 2-A of Evin prison, on 13th October 2010 received a 15-year-imprisonment sentence from branch number 26of the revolutionary court. On 20th November 2010 Hossein Ronaghi’s file, which was objected by his lawyers, was sent for appeal and on December 1st, 2010 his sentence was confirmed by branch number 54 of the appeal court, and he was sent to ward 350 of Evin prison. Mr. Ronaghi’s charges were membership in Iran Proxy channel, insulting the supreme leader and insulting the president.